Last weekend I needed to use up some stuff in my pantry, so I took a recipe my mom made and tweaked it a little bit. It was super easy and gave me lunch the next day. 1. Cook pasta according to directions. 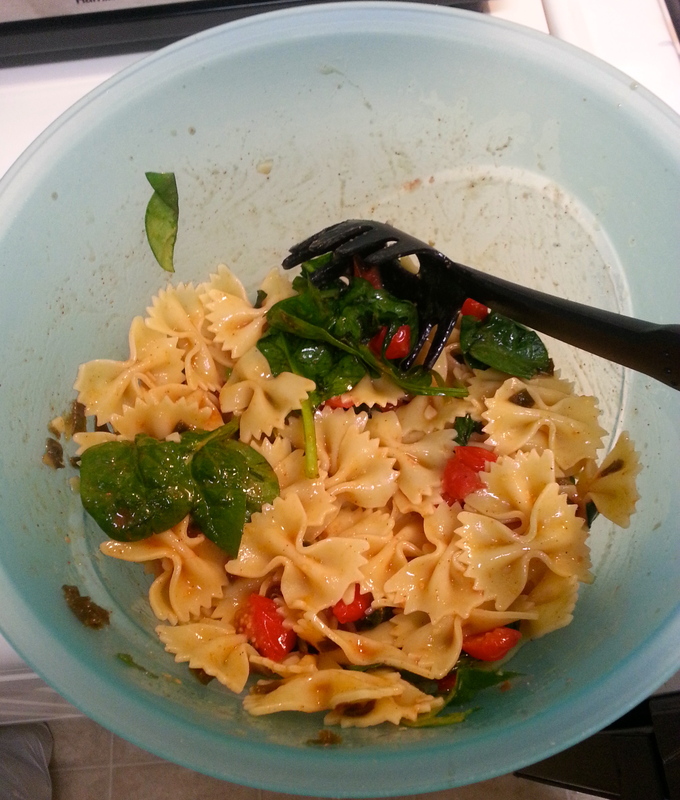 I used about half a box of bow tie pasta, but you can really use any kind. 2. Heat 3 Tbsp. olive oil and 3 Tbsp. lemon juice on the stove. Chop 3 bunches of green onion and sauté for a couple minutes. 3. 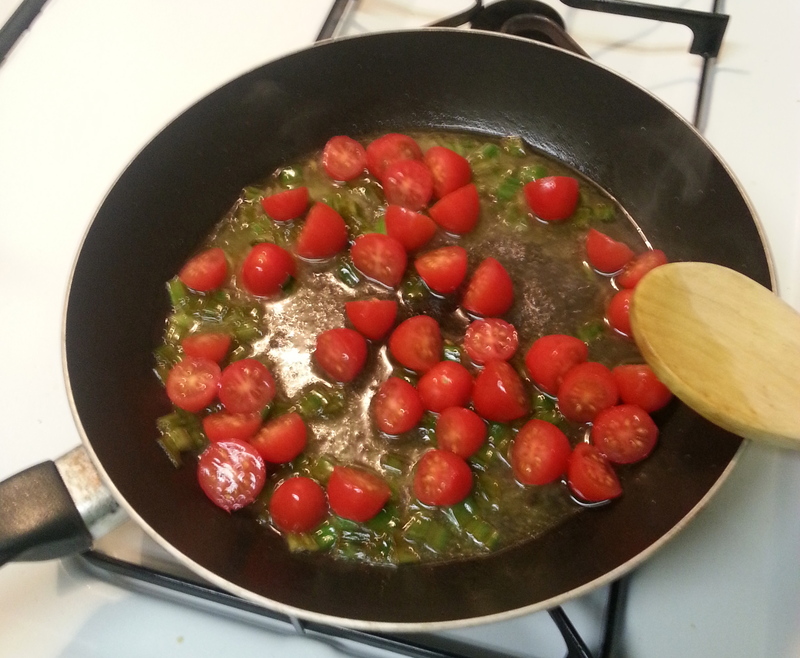 Add chopped tomatoes (I had cherry tomatoes; any kind of tomato will work). Let the tomatoes heat and sprinkle with Tony’s cajun seasoning. 6. and serve! Mine had a kick with the amount of Tonys I used and I loved it! I’d recommend adding a protein, but I didn’t have any. The original recipe used shrimp and Seafood Magic seasoning instead of Tonys. Also good to top with some feta. Super easy no matter what! Cook pasta according to pasta directions. Heat olive oil and lemon juice in a skillet. 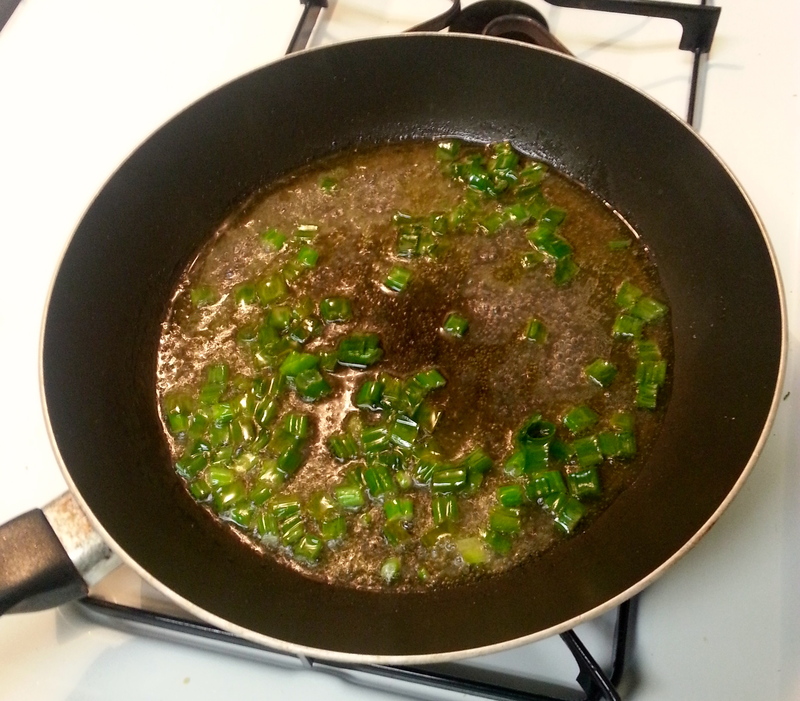 Add green onion and sauté for a couple minutes. Add tomatoes and let heat. Add some seasoning. Add spinach and let it cook down. Add some more seasoning if wanted. 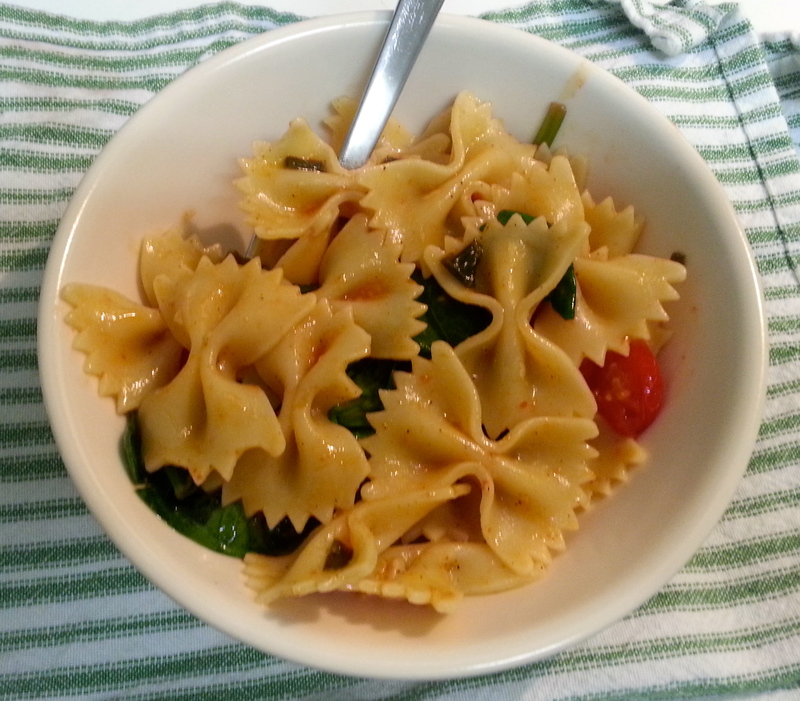 Pour sauce over the pasta and toss. Categories: Thrilling Thursday | Tags: cooking, food | Permalink.